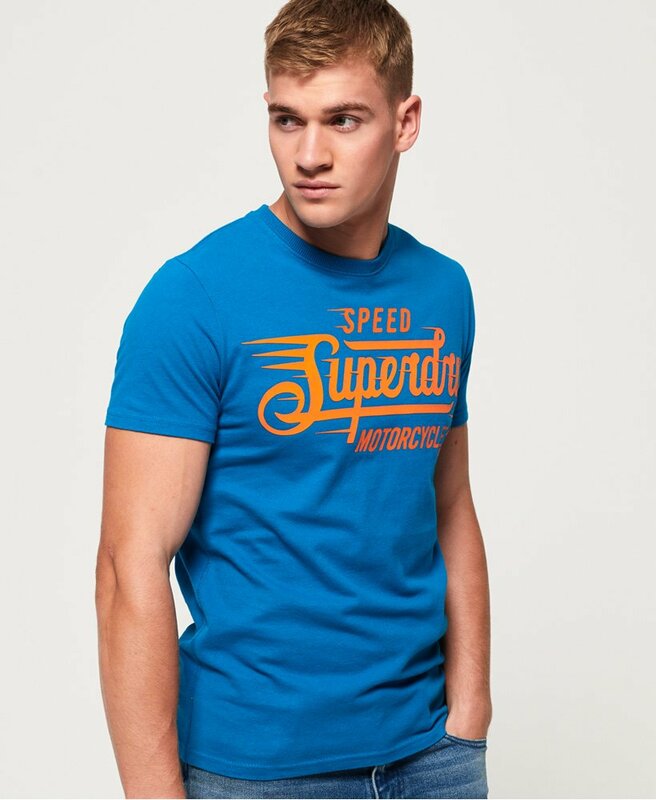 Superdry men’s Riders Heritage classic t-shirt. This tee features a crew neckline, a multi-texture Superdry logo across the chest with cracked effect detailing and a Superdry patch above the hem. This is the perfect layering tee, simply wear this on its own, or throw on a hoodie or coat over the top in cooler climates.